Caly knew her mom would punish her; in fact, she'd planned on it. But a late-night ride in the backseat of a cop car wasn't part of that plan. Seventeen-year-old Caly Monroe has one passion: graffiti. Her mom hates it. And that's precisely why Caly decides to spray paint a barely dressed portrait of her mom in the middle of town, hoping to change her perspective―or maybe it was just to piss her off. 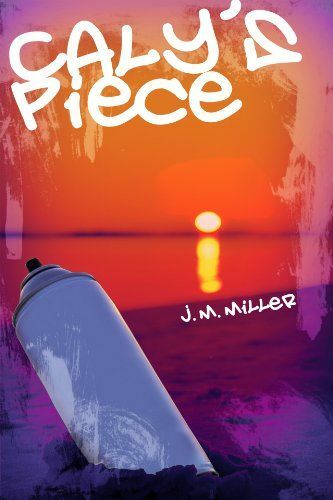 After Caly's mom picks her up from the police station, she banishes Caly to Gemstone Beach, the run-down bay beach where they used to live each summer. The last time Caly stepped a bare foot onto that beach's crusty sand was five years ago, before her mom opened a bakery and permanently ended their vacations. When Caly returns, she is tasked with manual labor at the boardwalk as punishment; though, she soon discovers the real punishment is facing the people she once cared most about, including her first love, Aden. While Caly continues to contemplate her artistic future, she has to let her heart choose what, and who, is worth fighting for.